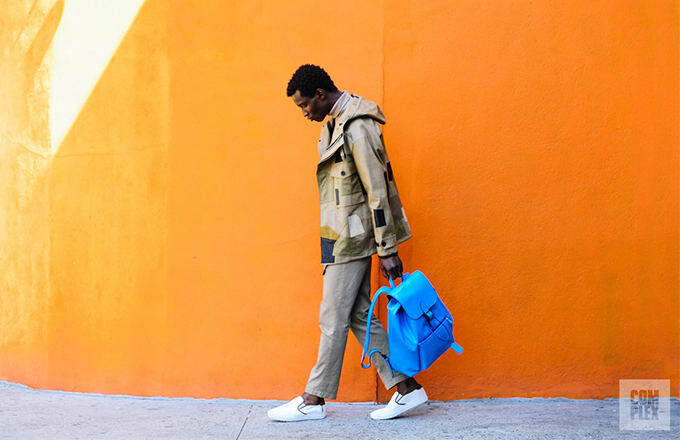 Bosso wears Coach&apos;s Patchwork Parka, Rainger backpack in Azure, and Union Slip On Sneaker in White. 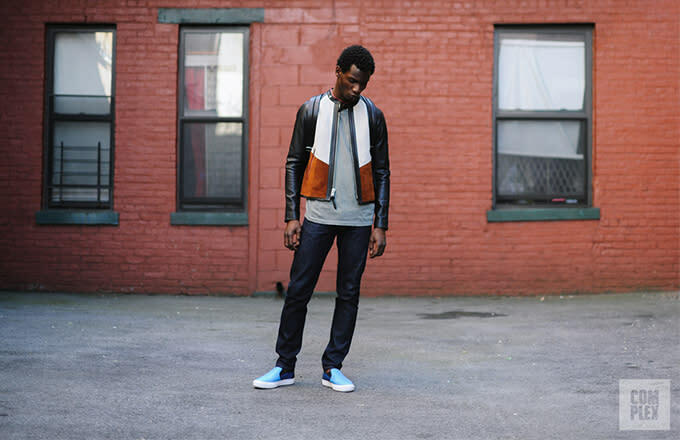 Turtleneck and pants are his own. 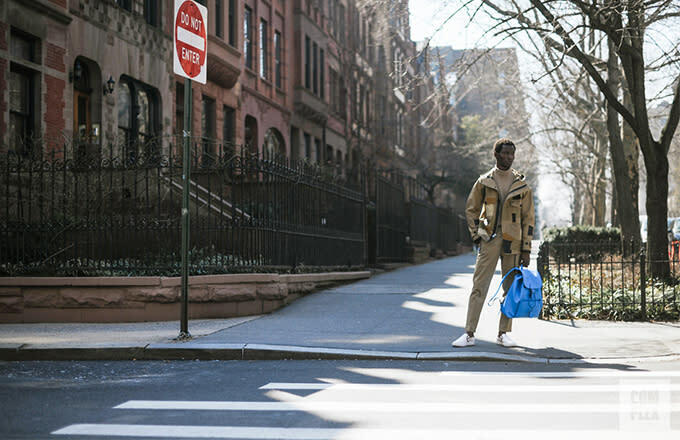 Bosso wears Coach&apos;s Patched Zip Racer Jacket, Large Backpack in Marine Tiger, and Union Slip On Sneaker in Azure. T-shirt and jeans are his own. 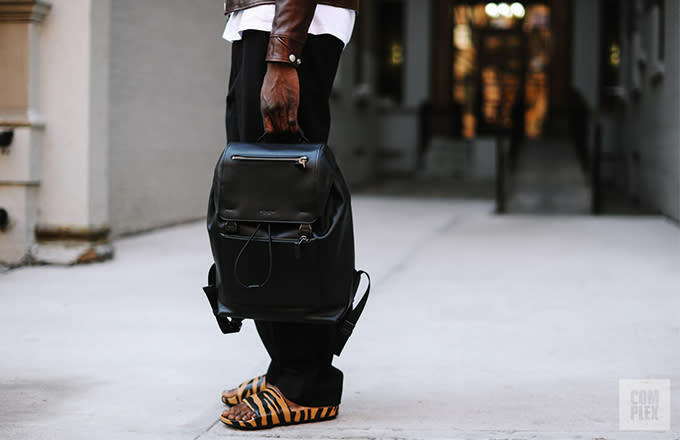 Bosso wears Coach&apos;s Patched Zip Racer Jacket and Large Backpack in Marine Tiger. T-shirt and jeans are his own. 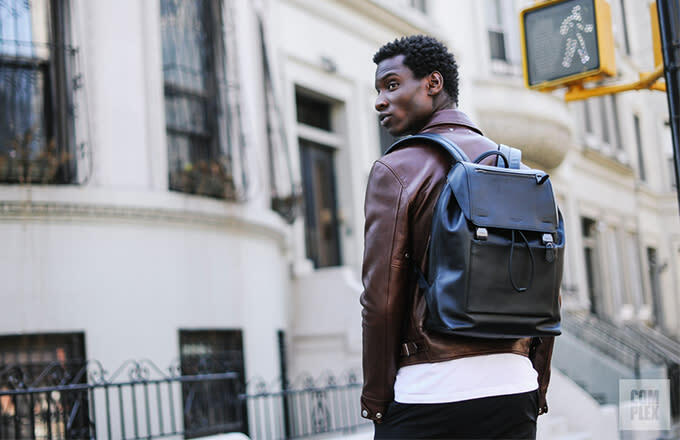 Bosso wears Coach’s Leather Roadster Jacket and Manhattan Backpack. T-shirt and pants are his own. 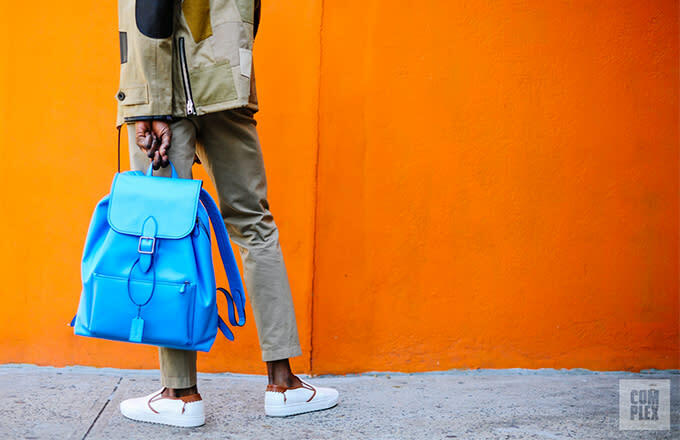 Bosso wears Coach’s Leather Roadster Jacket, Manhattan Backpack, and Collection Slide in Orange Tiger. 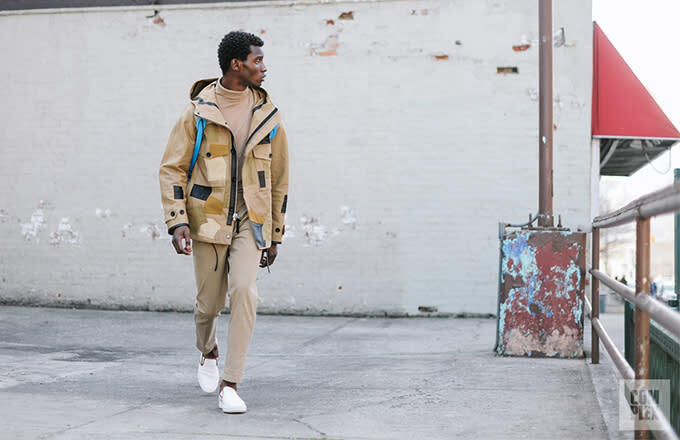 T-shirt and pants are his own.